Canadian singer/songwriter Leonard Cohen performs at the Glastonbury Festival 2008 in Somerset, England, June 29, 2008. Leonard Cohen, a Canadian-born poet, songwriter and singer, whose intensely personal lyrics exploring themes of love, faith, death and philosophical longing made him the ultimate cult artist, and whose enigmatic song “Hallelujah” became a celebratory anthem recorded by hundreds of artists, died Nov. 7. He was 82. His death was confirmed by his biographer, Sylvie Simmons. Other details were not immediately available. Cohen began his career as a well-regarded poet and novelist before stepping onto the stage as a performer in the 1960s. With his broodingly handsome looks and a deep, weathered voice that grew rougher and more expressive with the years, he cultivated an air of spiritual yearning mixed with smoldering eroticism. Cohen never had a song in the Top 40, yet “Hallelujah” and several of his others, including “Suzanne,” “First We Take Manhattan” and “Bird on the Wire,” were recorded by performers as disparate as Nina Simone, R.E.M. and Johnny Cash. His lyrics were written with such grace and emotional depth that his songwriting was regarded as almost on the same level as that of Bob Dylan — including by Dylan himself. 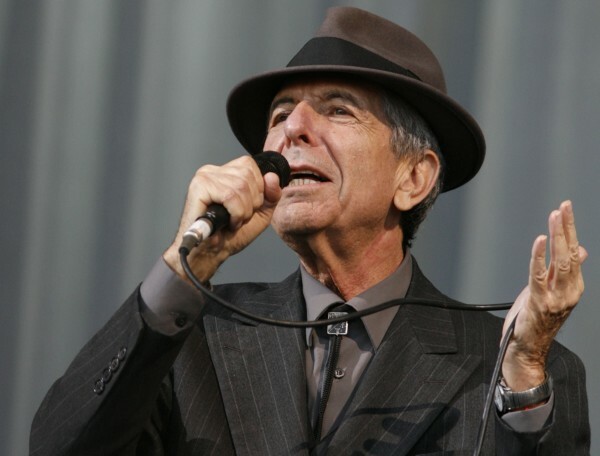 Cohen was named to the Rock and Roll Hall of Fame in 2008, but his incantatory, half-spoken songs were more in the tradition of the European troubadour than the rock star. Lyrics were paramount to Cohen, but whether he was composing songs, poetry or fiction, there was always an underlying musical pulse. He labored over his songs, spending five years on “Hallelujah,” which appeared on his 1984 album “Various Positions” and is generally acknowledged as his masterpiece. Like much of his music, it took years to gain a popular foothold. A 1994 recording by Jeff Buckley found a niche, and over time it was recorded by at least 300 artists. K.D. Lang’s performance of “Hallelujah” formed the centerpiece of the opening ceremonies of the 2010 Winter Olympics in Vancouver. It was difficult for critics to explain exactly what made Cohen’s music so memorable and moving. The lyrics were poetic, of course, but his musical settings were ingenious, with shifting chords and deceptively simple melodies. In the 1980s, Dylan often performed “Hallelujah” in concert. In the New Yorker last month, Dylan, who recently was awarded the Nobel Prize for Literature, explained he found Cohen’s songs so powerful. Leonard Norman Cohen was born Sept. 21, 1934, in Montreal. His family was prominent in the city’s Jewish community, founding a synagogue and owning several clothing and manufacturing businesses. He was 9 when his father died. He undertook various religious studies and spiritual pursuits throughout his life, but he remained grounded in the Jewish tradition, sometimes using Hebrew phrases and traditional melodies in his music. As a teenager, Cohen was a member of a country-and-western band in Montreal, but his interests were primarily literary. He graduated from Montreal’s McGill University in 1955, with a bachelor’s degree in English. He won a writing prize in college and published his first volume of poetry in 1956. He later moved to New York, where he studied briefly at Columbia University and read his poetry in coffee shops. He lived in London before impulsively traveling to Greece in 1960 and ended up buying a house on the island of Hydra. It was there that he met and fell in love with a married Norwegian woman named Marianne Ihlen. She divorced her husband, and they lived together for several years. Ihlen, who was often described as Cohen’s muse during the 1960s, died in August. Cohen also had well-known relationships with Canadian singer-songwriter Joni Mitchell and actress Rebecca De Mornay. In the 1970s, he had two children with his common-law wife, Suzanne Elrod. Survivors include Adam Cohen and Lorca Cohen, both of Los Angeles, and a grandson. A documentary about his life, “Leonard Cohen: I’m Your Man,” was released in 2005. His final album, “You Want It Darker,” appeared last month.